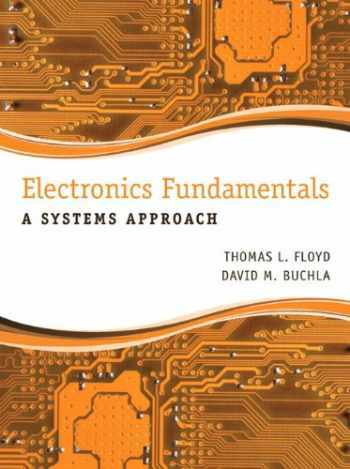 Acknowledged author Thomas L. Floyd wrote Electronics Fundamentals: A Systems Approach comprising 1088 pages back in 2013. Textbook and etextbook are published under ISBN 0133143635 and 9780133143638. Since then Electronics Fundamentals: A Systems Approach textbook received total rating of 4 stars and was available to sell back to BooksRun online for the top buyback price of $61.31 or rent at the marketplace. Electronics Fundamentals: A Systems Approach takes a broader view of fundamental circuits than most standard texts, providing relevance to basic theory by stressing applications of dc/ac circuits and basic solid state circuits in actual systems.